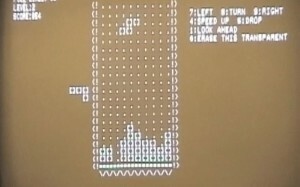 Alexey Pajitnov first releases the game Tetris in the USSR. Tetris will become one of the most popular puzzle video games of all time. Originally programmed for a Soviet-built Elektronika 60 computer, the game was soon ported to the IBM PC, where it spread quickly throughout Moscow and the rest of the USSR. Eventually making its way to Hungary, from there the game was discovered and questionable attempts to license it for sale by various software companies were made. By 1989, half a dozen different companies claimed rights to create and distribute the Tetris software for home computers, game consoles, and handheld systems. Several highly complex and drawn out legal battles ensued in the following years to settle who had the rightful licenses and authority to sell the Tetris game in various formats and countries around the world. Ironically, Pajitnov himself was not able to make any money on Tetris for years because as an employee for the Soviet government, the Soviet State ended up owning the rights. It was only when the rights reverted from the old Soviet government to Pajitnov and he moved to the US in 1996 that he was able to form a company and collect royalties. Then he went on to work for Microsoft … trading one oppressive regime for another it would seem!